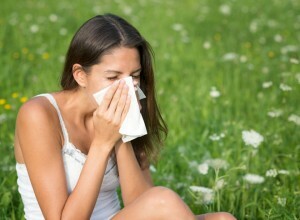 With Spring in the Lowcountry in full swing, many people are feeling the stress of their seasonal allergies. Some people may be feeling it and not even know. Do you think you have seasonal allergies? It’s important to talk to one of our allergy experts, but we’ve compiled a list of common Spring allergy symptoms. If you are a seasonal sufferer, your symptoms are probably worse on windy days when there is more pollen moving around the air. Rain can help wash away the pollen, so you may have fewer symptoms. If your symptoms are severe and lowering your overall quality of life, it’s time to talk with a certified allergist. Our Charleston allergy experts will help diagnose and treat your allergies, from OTC medications to allergy shots. Read more about diagnosis and treatment on our main allergy page. Let Alpha Care help you enjoy your Spring- call us today at 843-824-2273 or contact us online for an appointment.